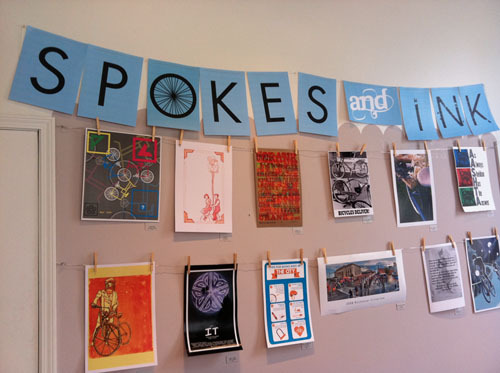 Today was Spokes and Ink at the Genesee Center for Art! There were some great posters for sale. 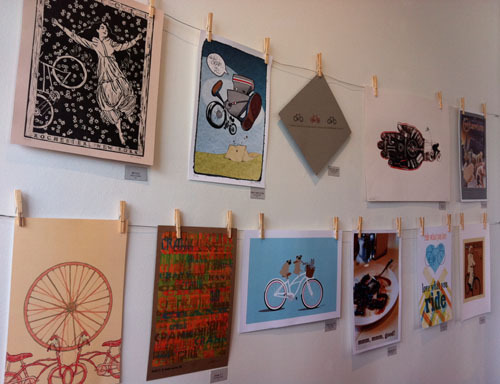 I was pretty excited to see my "Biking Like Cats and Dogs" hanging up there. A few people there were buying it so I'm hoping for a nice amount to dontate to Lollypop Farm. 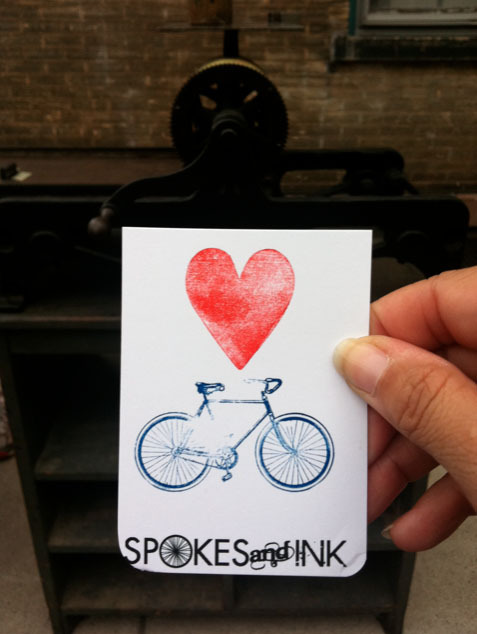 I made a letterpress Spokes and Ink card. Tina and I biked there and there were lots of others that did too. 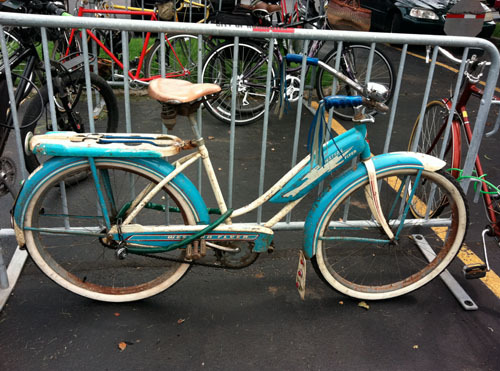 I spent some time eyeballing the other bikes. Overall it was a great event and I'm hoping they do it again next summer. Hey, that's my husband's poster above yours in the second pic. 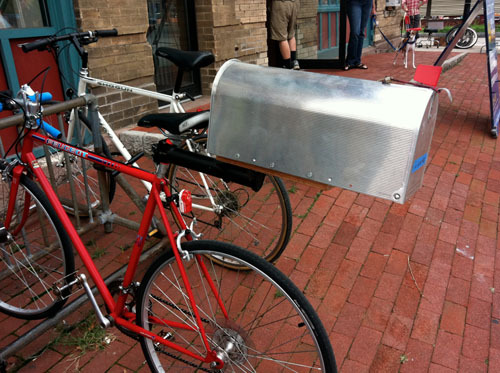 Yes, the robot in a bit of riding distress. Heather - Cool! Did you guys go to Spokes and Ink?